All Yoga NYC. Photo Courtesy of Christina Rufin. 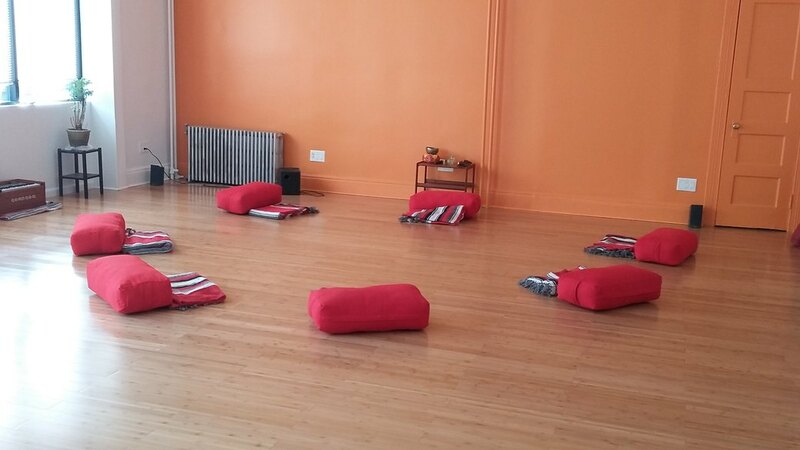 All Yoga NYC is a new studio nestled on quiet Woodward Avenue in Ridgewood, feet from the Forest Ave M station. Committed to bringing yoga to more than the usual crowds of young professionals who count their colorful, PVC mats as a fashion accessory, Christina Rufin, owner of All Yoga NYC, describes it as a studio "dedicated to offering yoga classes of all styles to all people, regardless of age, mobility or experience." Ms. Rufin has nine years of experience bringing yoga to populations with little to no access to the practice through her work with after school programs and senior centers. She says that the studio does "have a Gentle Yoga taught by Djuna Passman and a Restorative Yoga class taught by David Silverberg...which will appeal to people of all ages and to beginners." Other classes include chair yoga, a pay what you can weekly meditation, and children's classes for several different age groups all aimed at those who might have limited mobility or require different teaching methods. Ms. Rufin says the response has been overwhelmingly positive as residents of the community say they are happy to have a place where they can relax and relieve stress. Yoga gets a bad reputation for being a harbinger of gentrification, but Wednesday's extensive class offerings alone include a vinyasa class taught in Spanish and kids yoga for children ages 4 to 6. Check it out and see if you can't find a style to suit your needs.